Fallax is one of the 2m evergreen Mexican shrubs of robust growth with pretty pale blue flowers late winter onwards. Its name might be more correctly roscida. It doesn’t like much frost so not a good choice for very cold areas though it can be grown in a protected area. It can be slashed around Xmas if you want to keep it smaller. It may seed a bit or can be grown from cuttings. 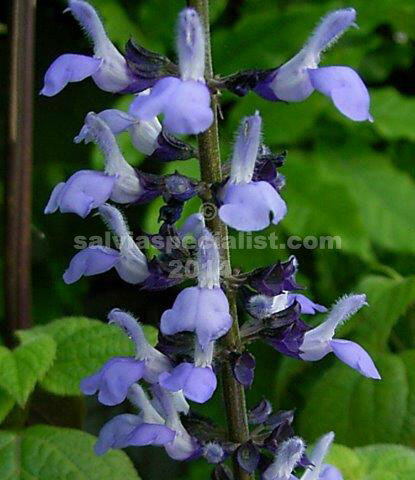 The closest plant is polystachya, also a pale blue flower but slate blue, and autumn flowering rather than winter on a less upright plant. This plant has been known as roscida but a San Francisco expert said fallax is correct in October 2016.